20 complications, 1366 movement components, double-face reversible case, 214 case components, 7 years of development, 2 years of production, grand sonnerie, petite sonerie, minute repeater, patented date repeater, patented alarm with time strike, 6 patented inventions, 18K gold dial plates. 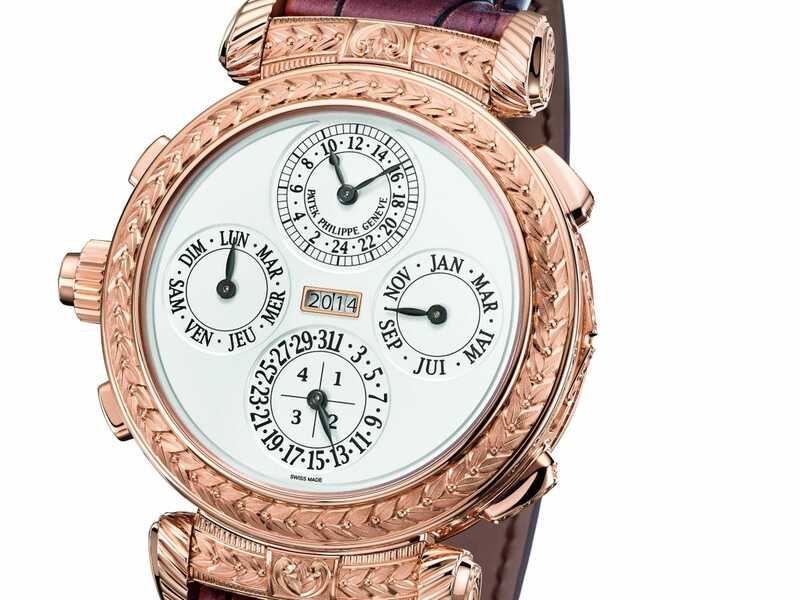 Estimated at $2.5 million, this is the most complicated Patek Philippe wristwatch ever maded, as one of the 10th 175th commemorative watches collection, called The Crandmaster Chime. 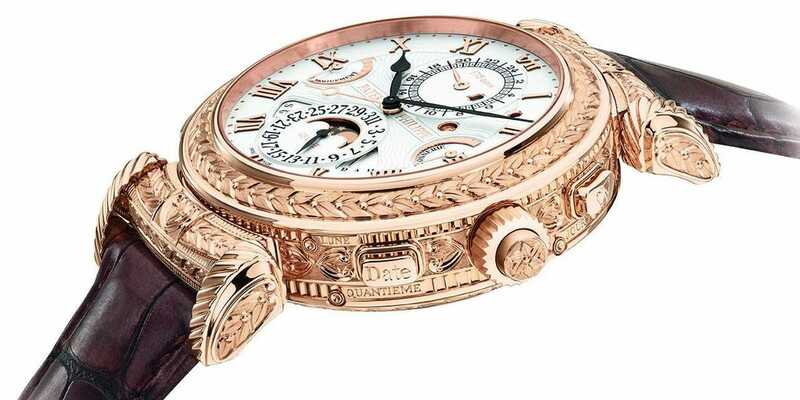 The watch measures 47.7 mm in diameter and has 1,366 individual components. It took a whopping eight years and 100,000 man hours to develop, 60,000 of which were spent just on the watch’s movement. 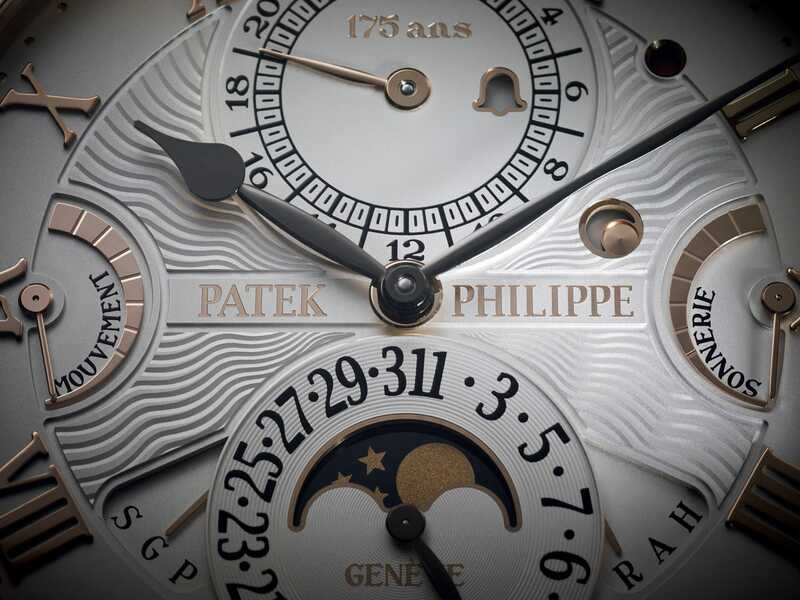 Patek Philippe calls the Grandmaster Chime an “intelligent watch” with features such as a minute repeater, instantaneous perpetual calendar with a four-digit year display, and a second time zone.